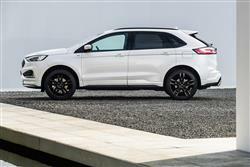 The Edge is Ford's best selling SUV in the USA, success it hasn't yet quite emulated in Europe. Perhaps the changes made to this revised version will help. 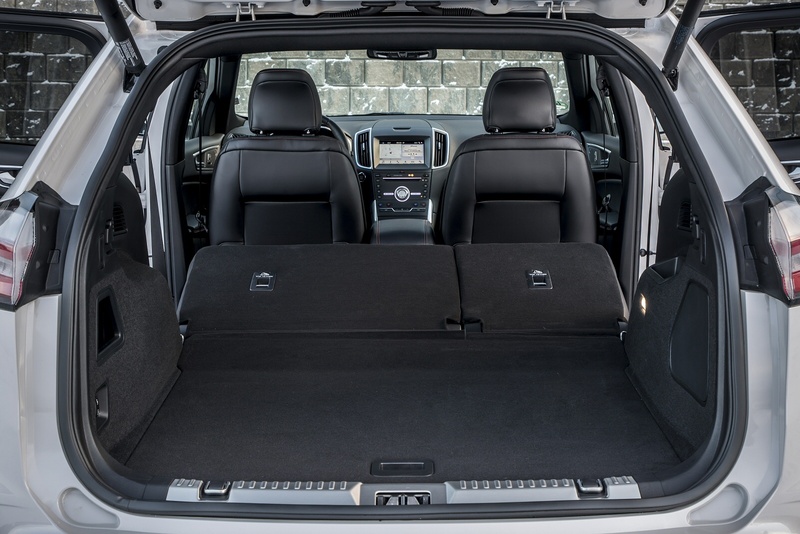 The idea here is to add a top tier to the Blue Oval's Crossover and SUV line-up that'll keep customers within the Ford family who might otherwise desert to other brands. 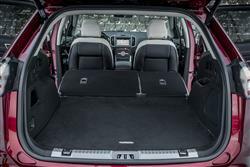 These people will like the fact that the Edge is good looking, well equipped and offered for the kind of money that normally, would only buy you a relatively compact car of this kind. Will all that be enough to enable Ford to steal sales from the premium brands? It'll be interesting to see. 'Ford gives you more' used to be the Blue Oval brand's marketing slogan - and perhaps it still does. 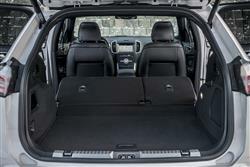 For proof, have a look at this large, sophisticated and very well equipped SUV, the Edge. The Edge was one of those models we never used to get in our market. That's all changed since the adoption of the company's supposedly enlightened 'One Ford' policy that tries to create a global product range, rather than one in which cars are developed for specific countries. That's been very nice for other nations, who get to enjoy our sharp-handling Focuses and Fiestas. 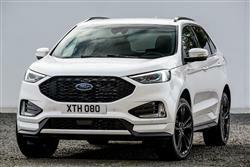 Whether we've done quite so well out of the deal may be more debateable, as Ford's model line-up here has in recent times been swelled by the Brazilian-built KA+, the Indian-made EcoSport crossover, the US market Mustang sportscar and this Canadian-assembled Edge SUV. Still, the Edge seems more palatable in this improved form, with its smarter cabin and more potent 238PS EcoBlue diesel engine. Let's check it out. 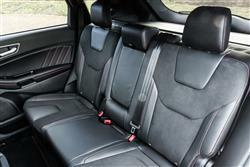 The car is offered here with a choice of two of Ford's latest EcoBlue 2.0-litre diesel engines. There's an entry-level 150PS unit mated to front-wheel drive, but the one Ford wants to talk about is the 238PS Bi-turbo powerplant, which is combined with the brand's Intelligent All-Wheel Drive system and a freshly-developed eight-speed quick shift automatic gearbox. This top unit has been enhanced with more low-end torque, while issues of noise, vibration and harshness have all been re-addressed. A small, high pressure turbo and a larger, low pressure turbo work in series at low rpm for greater responsiveness and enhanced torque. At higher engine speeds, the larger turbo works alone to produce the boost required to deliver peak power. The result is smooth and linear acceleration performance and, in theory, a more comfortable driving experience. 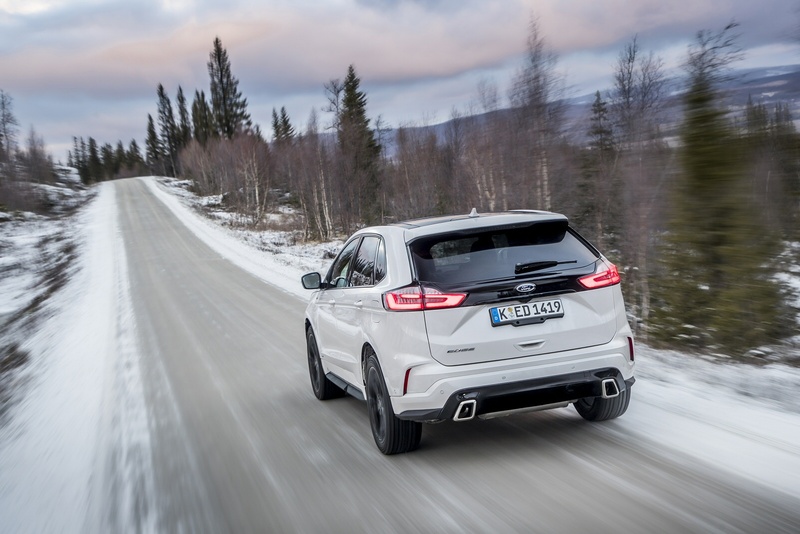 The Intelligent All-Wheel Drive set-up aims to provide a more secure footing for Edge drivers, especially in slippery conditions, by measuring how well the vehicle's wheels are gripping the road surface and delivering a seamless transition of torque between all four wheels. 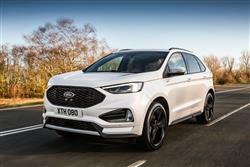 This revised Edge debuts an enhanced version of the technology, featuring new 'all-wheel drive disconnect', which uses a form of artificial intelligence to take readings from dozens of sensors around the car. It can determine if Intelligent All-Wheel Drive is needed in just 10 milliseconds. The Edge model's exterior is sharply sculpted and athletic with strong 'shoulders' and a muscular, quite compact bonnet. Visual updates across the range include a wider grille with a unique finish for each model. Standard LED headlamps and tail lamps can be complemented with available LED signature daytime running lamps. A redesigned bonnet aims to impart a wider, more planted stance. To improve efficiency, unique air curtains are positioned on the lower part of the fascia to guide air from the front of the vehicle, out through the front wheel wells and down the vehicle side. Inside, a redesigned centre console features a smarter rotary gear shift dial for the eight-speed automatic transmission that frees up space and allows easier access to the wireless charging pad. Other changes include the addition of a configurable digital instrument cluster with animated analogue-style instrumentation. This allows drivers to personalise the layout of the speedometer, rev-counter and vehicle information displays to suit their own preferences - and even adjust between one of seven colours. 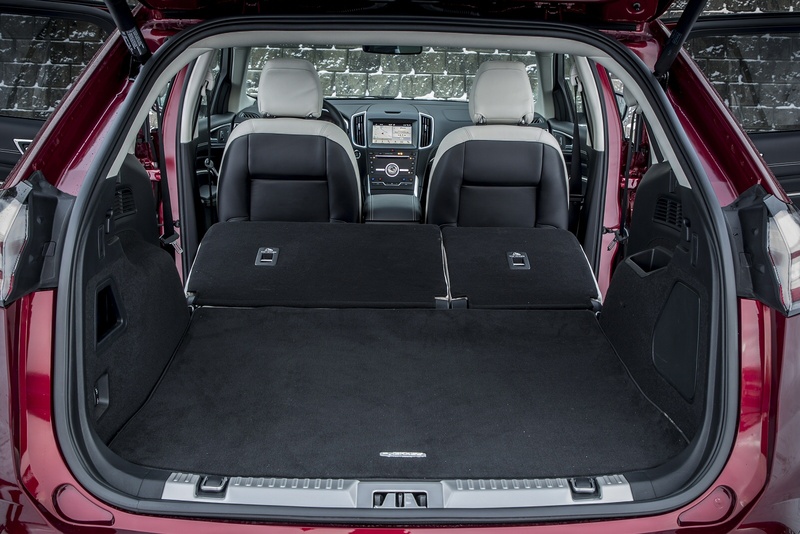 An electronic parking brake button in place of a conventional parking brake lever helps maximise space and houses adjustable cup holders and a deep storage box with enough space for books, toys and tablets. A larger swing-bin glovebox sits under the dashboard, and further stowage is available in the instrument panel top. As before, Edge pricing sits in the £37,000 to £46,000 bracket. 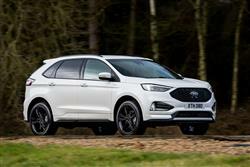 Trim-wise, there's a choice of 'Titanium', 'STLine' or 'Vignale' variants. Across the range, 'FordPass Connect' embedded modem technology turns the Edge into a mobile WiFi hotspot with connectivity for up to 10 devices. An available wireless charging pad nestled in the forward media bin enables cable-free charging of compatible devices, and Ford's SYNC 3 communications and entertainment system - compatible with Apple CarPlay and Android Auto - enables drivers to control connected smartphones, audio, navigation and climate using voice commands and an 8-inch colour touchscreen. Customers can further upgrade their audio experience with a premium B&O Sound System that has been specially tuned for Edge. The 'Titanium' version offers 19-inch alloy wheels, chrome roof rails and a rear roof spoiler, alongside illuminated door-sill plates for the interior. The sportier 'ST-Line' variants get sports-tuned suspension and body-coloured lower door, wing and side mouldings, plus a front upper grille with a unique black finish. Other 'ST-Line' features include 20-inch alloy wheels, perforated partial leather 'Miko-Dinamica' seats, a perforated leather steering wheel and a gear shifter with red stitching. At the top of the range, 'Vignale'-spec gets you bespoke chrome-finish fog lamp surrounds, 20-inch polished alloy wheels and a signature 'Vignale' hexagonal upper grille design with a dark matte finish. 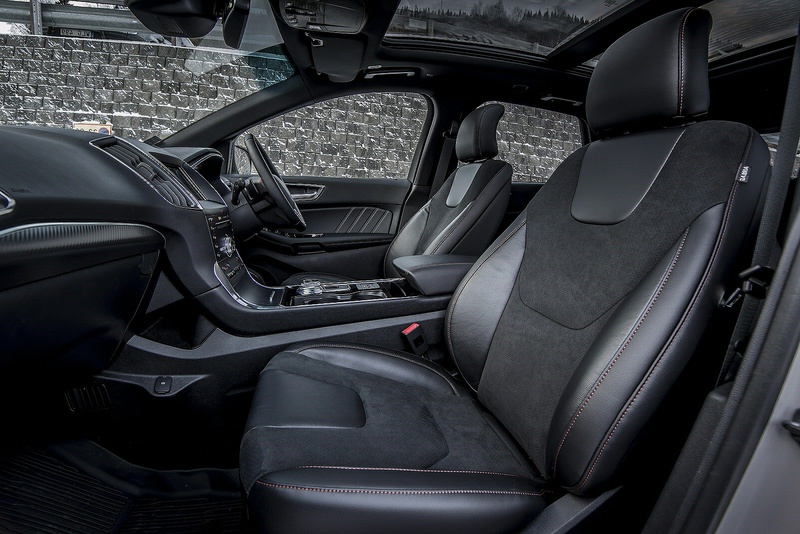 Inside, hexagonal-quilted Windsor leather features prominent tuxedo-style stitching for the seats and door interiors, while leather extends to the central armrest, storage console and instrument panel. 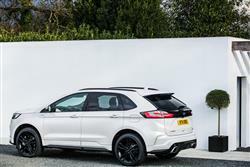 Ford is confident that the Edge meets the class standard for efficiency. The base front-driven 150PS 2.0-litre EcoBlue diesel model manages 48.7mpg on the combined cycle and 153g/km of CO2. 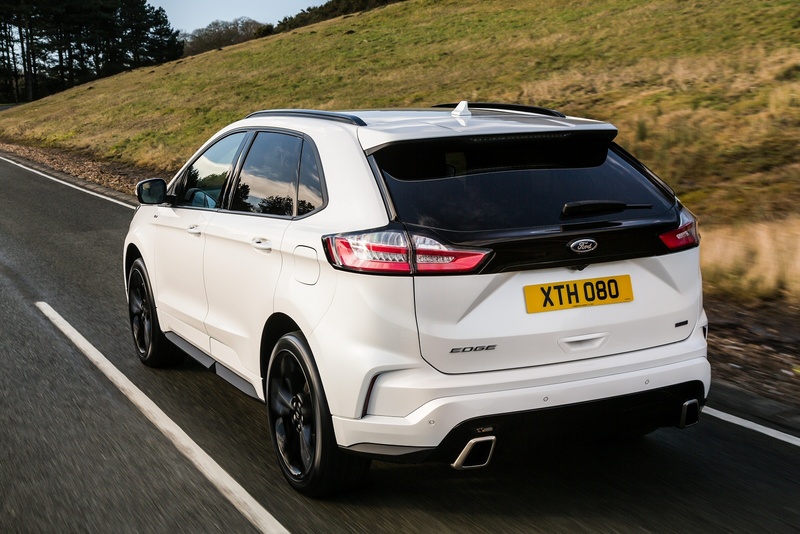 As for the 238PS Bi-turbo diesel model, well by only delivering torque where and when it is needed, this variant's Intelligent AWD set-up has minimal impact on fuel-efficiency and CO2emissions compared with permanent four-wheel drive systems. 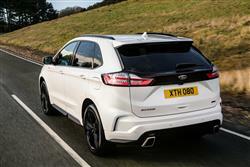 As a result, this top Edge is rated at 40.9mpg fuel efficiency and 175g/km CO2. Maintenance bookings can be done online through the 'My Ford' portal. This is part of the 'Ford BlueService' scheme that wraps up all of the care and maintenance of your car into one bundle that includes a free 30-point 'eCheck' of vital parts and highlights any work required with a red, amber and green traffic light warning to rank items that need attention in order of importance. There's also the 'Ford Service App' that you can download to your phone for free. It lets you locate your nearest dealer and make a booking, plus has a couple of extra elements, allowing you to find petrol stations and including a 'Park Me' feature that remembers where you left your Edge, so you won't have to hunt for it, say in busy multi-storeys. 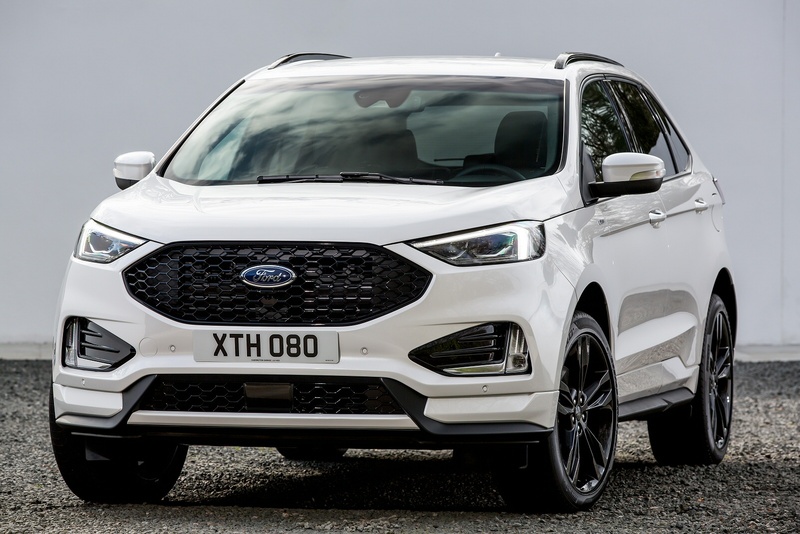 If you�re looking for a new Ford Edge 2.0 EcoBlue 238 ST-Line 5dr Auto Diesel Estate for sale, you�ve come to the right place. 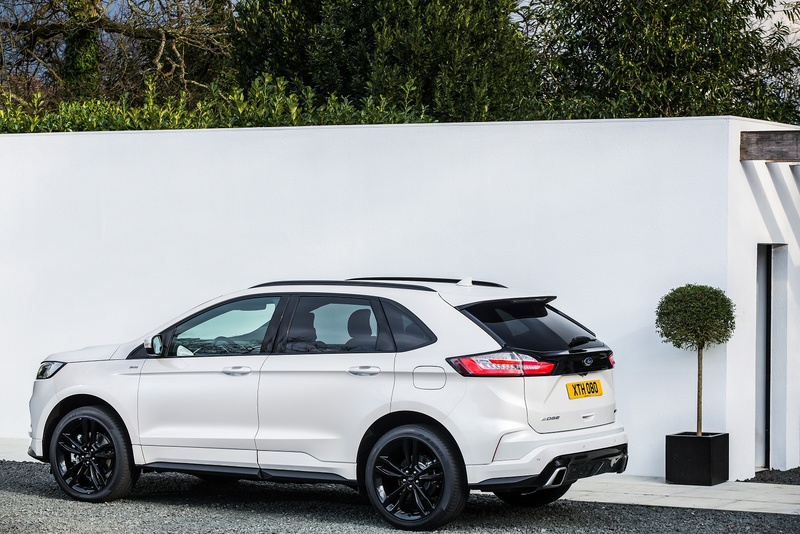 At Bristol Street Motors we don�t just have the best Ford Edge 2.0 EcoBlue 238 ST-Line 5dr Auto Diesel Estate deals, we also offer friendly advice and help with all your enquiries to ensure your buying experience is a happy experience.